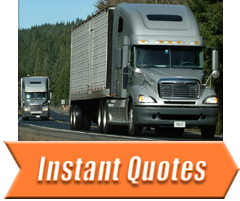 Insure Big Rig Insurance offers a complete range of affordable truck insurance to truck owner-operators and fleets. We are one of the most experienced commercial trucking insurance specialists in the country. Our staff returns phone calls and emails the day we get them, because this is what our clients expect. We provide answers to your trucking insurance questions when you need them. There are many places you can buy insurance today, but Insure Big Rig’s experience with the trucking industry is second to none. We have been helping trucking companies of all sizes get the right trucking insurance protection for years. Our full-service agency specializes in commercial truck insurance services for the owner operator, truck driver, motor carrier, and any size trucking fleets. We know and understand the industry and have built a reputation for providing sound advice for managing risk and freight both on and off the road. Located in Califon, NJ, we provide services nationwide in 43 states, including Alabama, California, Colorado, Delaware, Georgia, Illinois, Kansas, Maryland, Missouri, New Jersey, New York, Ohio, Pennsylvannia, South Carolina, Texas and many more.